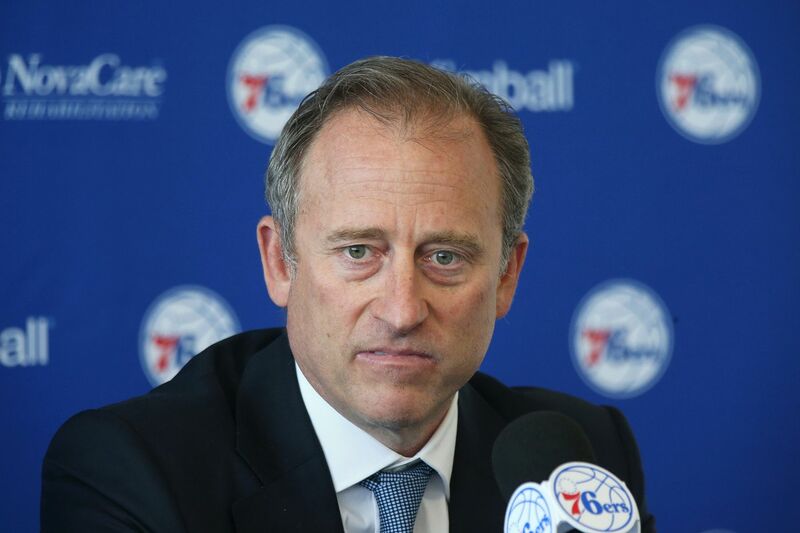 Josh Harris admitted "The Process" "probably went a little deeper than I expected" in an interview with ESPN. After watching the 76ers bolster their lineup with the addition Jimmy Butler in November, then Tobias Harris at the trade deadline, fans would likely be disappointed if the Sixers made an early exit in the playoffs. Rest assured -- Josh Harris would be pretty upset, too. Harris was in Boston on Friday speaking at the MIT/Sloan Analytics Conference when he was asked how he would feel about being knocked out by the Celtics again. But Harris also expressed confidence in his team’s ability to contend for an NBA title this season, saying they have enough talent to win. And when it comes to the talent they brought in, Harris said he’s committed to finding a way for the Sixers to re-sign Butler and Harris, who are both free agents after this season, acknowledging that they “gave up a lot” to bring them onboard. "We get it. It's expensive." “He’s clearly our future -- they’re all an important part of the future -- but Joel is exceptional," Harris said. Embiid and the Sixers struggled to get to this point of exceptionalism, winning just 10 games only three seasons ago. Harris acknowledged “The Process,” saying that it was difficult to communicate to the city of Philadelphia -- “a competitive city” -- that they were planning for the long term. “And the reality is, it probably went a little deeper than I expected,” Harris said. "These things aren’t perfectly predictable. It was incredibly hard. But what got me through it -- and the city was very supportive in this -- was continuing to focus on creating greatness around the Sixers.